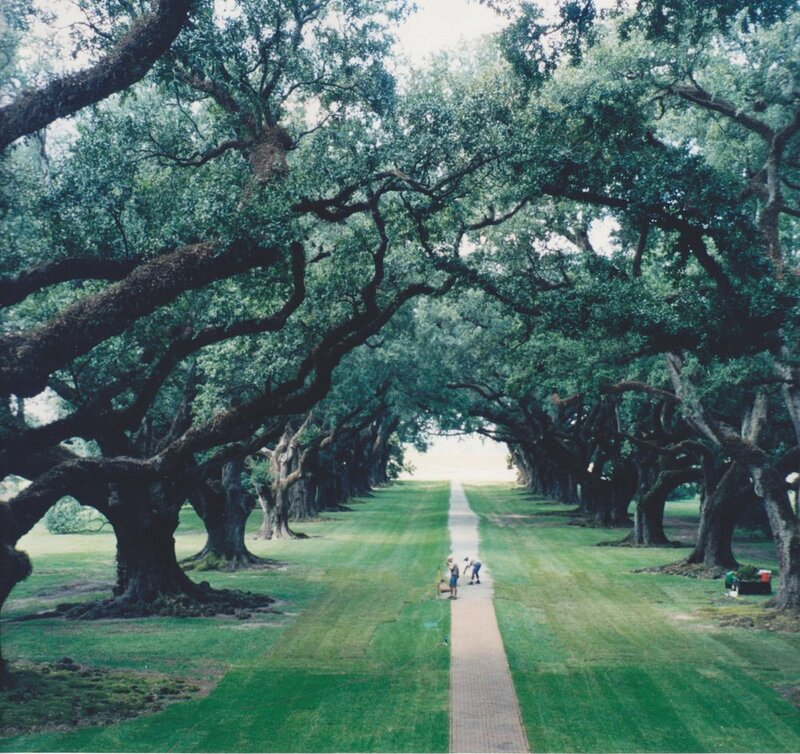 If you’re itching for a break from the wild energy of New Orleans then its time to visit Oak Alley Plantation that is often referred to as “The ‘Grande Dame’ of the Great Louisiana River Road. We toured this place and were immediately stunned by its spectacular beauty. It was built in 1839 and was originally named Bon Séjour (pleasant sojourn). There is a quarter-mile avenue of 28 giant, live oaks leading up to this Greek Revival-style mansion, which led to the new name of Oak Alley. When you step inside you’ll be struck (as my husband Peter and I were) by the gracious interiors: gleaming hardwood floors and shimmering chandeliers. Another remarkably well-maintained estate you may want to visit is the Laura Plantation. The French-descended Deparc family founded this plantation in 1804 and lived there for four generations. Laura, a family member, wrote a detailed memoir that offers insights into what life was like in the Antebellum South. By the way, this plantation is where the original Br’er Rabbit stories were recorded – passed down from the oral tradition of former slaves. Like many of the tours that are offered in New Orleans you’ll find there are many different options for you to choose from. For example, you can elect to sign up for the Oak Alley Plantation by itself. Or, you can do “Both Oak Ally and Laura Plantations” in one tour. Keep in mind, these outings take a certain amount of energy – make sure you’re up for whatever you choose. I noticed that one tour says, “Our combo tour is this: we will pick you up, drive to Oak Alley where you will tour the grounds and house. Then we’ll drive you to Laura where you will tour the house, grounds and slave cabins – after this, we’ll bring you back to the French Quarter.” Sounds pretty good to me. Moving on, here’s a second option you might want to consider, “Airboat Tour and Single Plantation Combo Tour” CLICK HERE to read last week’s blog about swamp tours via airboats. Here you’ll have even more options: (1) A medium airboat combo with 16 seats, (2) a small airboat combo with six seats, or (3) a pontoon boat that seats more people as compared to airboats. Now, since we’re on the subject of “water” let’s take a look at one of Louisiana’s last preserved wetlands via a two-hour Honey Island Swamp Boat Tour. After a short drive to Slidell (a suburb of New Orleans on the north shore of Lake Pontchartrain) you’ll travel deep into a secluded swamp to view native wildlife and see a remote Cajun village that’s only accessible by boat. Honey Island Swamp, a wildlife preserve, is one of the last protected wetlands in Louisiana. This tour offers a more intimate experience as the boat quietly winds through narrow swamp passages. You’ll get great photos as you learn more about the famous regional alligators who can tip the scales at a thousand lbs. Yikes! And there you have it. Now, you can go back to Rathbone, pour yourself a drink and regale everyone with tales of Maurice, the bon vivant alligator who looked up and winked at you. CLICK HERE to hear “Just a Closer Walk with Thee” played by Tuba Skinny on Royal Street in New Orleans.